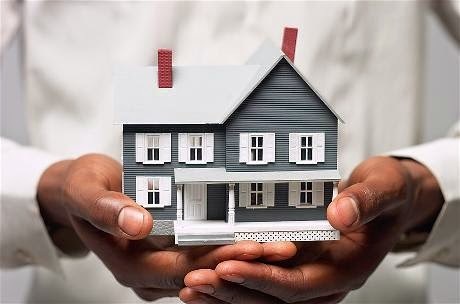 Housing.com is a real estate portal that has helped countless people lookup homes in a reliable and logical manner. The portal has been instrumental in bringing about transparency in the search for homes. Housing.com has evolved over years. It has donned an avatar that now highlights its traits in a new light. Everyone knew what housing.com could do. But now the portal has brought forth its personality; an image that so far was driving the company internally. Now the organization shares its vision and mission; and invites all stake holders to join its journey into the future. The new housing.com is optimistic, aspirational and elegant. It is no longer a black box known only to the insiders and a chosen few. The company wants to serve with transparency. It asks people to ‘Look up’ and strive ahead into a bold new future along with it. The ‘Look up’ symbol spearheads the way to the future while nurturing and sheltering everyone who comes along. Housing.com now looks expressive and authentic. It comes with vibrant imagery, a gamut of colours to exhibit a spirit that can match with one and match with all. The event horizon is no longer there. What has replaced it is more vibrant, inviting and spirited. The company has shed its cocoon and now allows the world to see for what it is. Housing.com is now going to be accessible to all. The company is set to achieve this objective by its elegance. Elegance in housing.com is fostered by adherence to the highest standards of quality while simplifying the results for all. One does not have to go through the rig morale of understanding complex, niche tasks that help achieve results. However one would undoubtedly be able to understand the outcomes and appreciate the expertise that yields it. While endeavouring to be a world class company, housing.com is not elitist, boring or conforming to norms. It challenges passivity and ignites thoughts. The company communicates with clarity and without jargon. It wishes to bring about transparency that is lacking in the property business for such a long time now. The passion with which it pursues it objectives can only come with a heightened sense of calculated optimism. While not being negative, housing.com does not cause disruptions. The company does not believe in inculcating a false sense of optimism and ensures that everything it offers is backed by facts; not marketing fluff. It is not possible for a technology company to constantly keep an eye on the future and bear an innovative approach towards every new confrontation. Most organizations succumb to norms in time. However this is where housing.com stands defiant. The company does not settle to be in the second place. The drive is ingrained so deep that it does not even settle for success. As soon as a new milestone is reached, focus shifts towards another seemingly improbable target. And then it is only a matter of time before focussed energy, positivity and never-say-die attitude helps achieve it. Housing.com has always believed in changing the game to help world become a better place to live in. It endeavours to be responsible when others are cutting corners. Housing.com is here.. Look up!